Camera used: Canon 7D & 24-70L @ 70mm – Settings: 5sec / f18 / ISO 100 – 1 flash behind & 1 LED to camera left. Often when I see a photo I like I wonder what camera & lens were used and what settings the photographer had set. With this in mind I have decided to add this information with each photo I post on here. You will find the information directly under the each photo. This information is easy enuf to find if you know where to look, but this will just make it a little easier. That’s always helpful. Thanks :)! Wow, fantastic…you may regret that offer, Ha Thanks Rob. Are you interested in a guest blog post on Denver Art Matters? Share your insights thru photography on urban landscapes, street people, graffiti. Hey Jan, Ya sure! That would be fun 🙂 Shoot me and email with some details on what you had in mind and whatever other info you think I will need. You can get me at robmosesphoto@gmail.com. 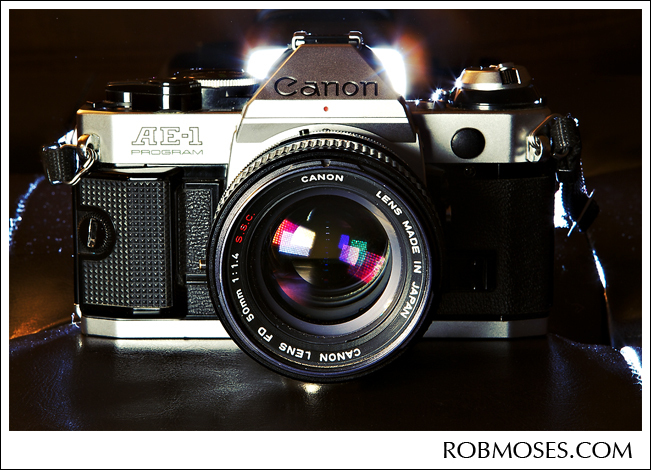 Wow, an AE-1. That camera got me back into photography back in 1980. But mine wasn’t the Program model.